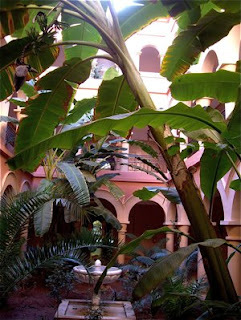 Just outside our room at Eden Andalou Spa & Resort we found two Riads, enclosed open-air spaces. These are characteristic features in local building customs, as the Riads provide much needed shade during the scorching hot North African summers. There are two wings with two Riads at Eden Andalou Spa & Resort. 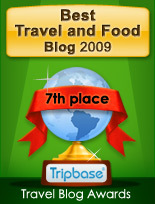 Our two was Riad Yacout and Riad Yasmina, the latter right outside our door. I loved how the architects of this complex has incorporated this important architectural element in the new buildings. 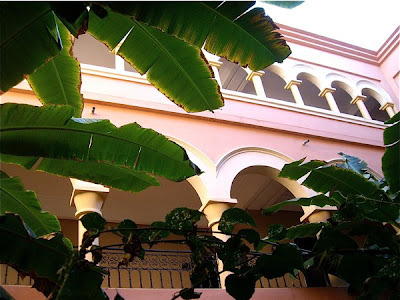 The exterior was painted in strong terracotta red colors, whereas the Riads were delicately painted in pink and cream. Three levels of walkways went along the two Riads with doors to the rooms facing the garden or the countryside. Inside the Riads there was an abundance of exotic plants as cycas, bananas, orange trees, date palms, and Kaffir Lillies around a small fountain. In the city of Marrakech, you find similar enclosed yards with the same abundance of plants. Many of these have been converted into hotels and gust houses and many have swimming pools as well as gardens in their Riads for guests to retreat to when you tired of the hectic city life. 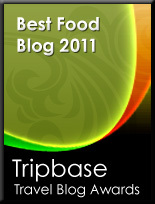 I visited one, Riad Moulay Said, just a stones throw away from Djemaa el Fnaa, the main square. It is wonderful to walk into one of these secluded spots. 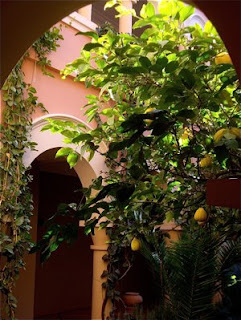 I used to walk through Riad Yasmina at our hotel, when leaving our room, just to admire our special Riad - and discover that fresh lemons were ripe to be picked. Neat! !